01.03.2015. Dublin, Ireland. 6 Nations International Rubgy Championship. Ireland versus England. 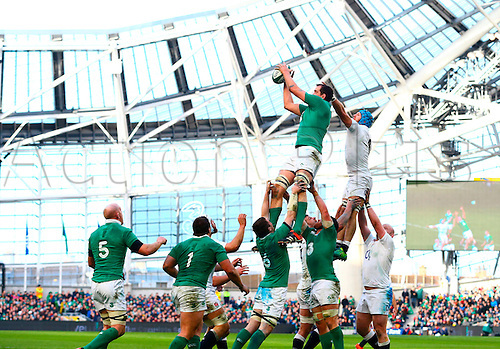 Devin Toner (Ireland) robs the ball ahead of James Haskell (England).